All car showroom projects are managed from concept to completion including, the building lighting and landscaping of the forecourts. Showrooms include all structural building and finishing including mezzanine floors, valet bay and workshops with all associated equipment. 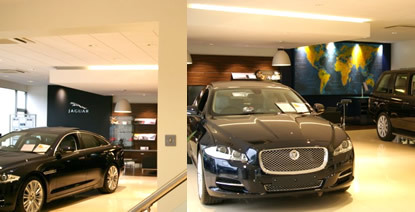 Chas Smith Shopfitters have just finished refurbishing three Jaguar dealerships on behalf of the Sytner Group to Jaguar's new corporate design. Chas Smith has recently refurbished 5 No. 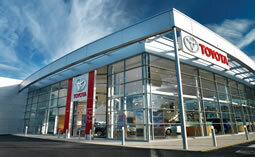 Land Rover dealerships for the Sytner Group including the Tri-brand dealership at Ascot. Mini Dealership, Birmingham - completed in February 2011. This was a £450K total refurbishment project for the Sytner Group and one of the largest Mini dealerships in the country.